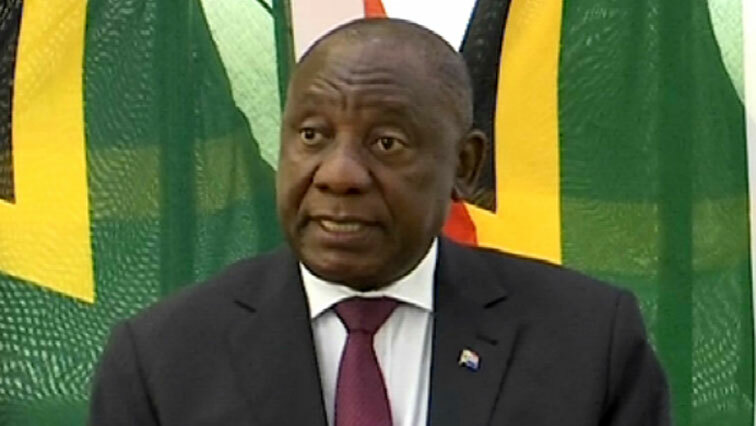 Solution will be found to land issue: Ramaphosa - SABC News - Breaking news, special reports, world, business, sport coverage of all South African current events. Africa's news leader. President Ramaphosa met with Ambassadors, High Commissioners, Consuls-General and Charges d'Affaires from around the world in Pretoria. President Cyril Ramaphosa has assured diplomats that South Africa will find a South African made solution to land just like a solution was found for apartheid. He says the country will build consensus on issues such as land reform to enhance the economy. President Ramaphosa met Ambassadors, High Commissioners, Consuls-General and Chargés d’Affaires from around the world in Pretoria on Friday. He says the country’s Foreign policy is informed by the support it received during apartheid and expressed gratitude for the support the country received during its bid for a Non Permanent seat of the UN Security Council. The President says South Africa will advocate for Africa to have 2 permanent seats on the Security Council and 5 Non permanent seats. Parliament’s Constitutional Review Committee concluded its public hearings last week where several organisations voiced their opinions on land expropriation without compensation. Ramaphosa says a solution will be found to the issue of land, such as the solution that was found for apartheid. “The land reform process, as it unfolds will be done in an orderly manner, a manner that enhances the interest of all our people and not just a few. SA gets to grip with this historical injustice as was committed during the years of colonialism, apartheid, we will seek to ensure that as we did in 1994, when we crafted our constitution. We will take into account the interests of all the people of our beloved land,” says Ramaphosa. President Ramaphosa says the country is working to increase investment opportunities that would help enhance the economy. In April, Ramaphosa unveiled an investment power team to woo investors worldwide to meet a goal of 100-billion dollars in foreign direct investment within the next five years. He says state owned enterprises will function better once the economy improves. “We are working hard to improve the investment environment in our country by ensuring that there is policy certainty as well as consistency – after years, when it seemed to be uncertain to many onlookers and observers. “We are also working hard to improve the performance of our economy to strengthen our government and improve the functioning of our state owned enterprises that still represent about 30 per cent of our economy,” Ramaphosa said. This entry was posted on 14 Sep 2018,12:44PM at 12:44 PM and is filed under Politics, Homepage Featured Story Slider. You can follow any responses to this entry through the RSS 2.0 feed. Both comments and pings are currently closed.